Recently, Mirriad launched a ten-second in-video ad unit supported by their Visual Impact Score (VIS) to ensure advertisers can count on quality brand exposure within mainstream popular video content. 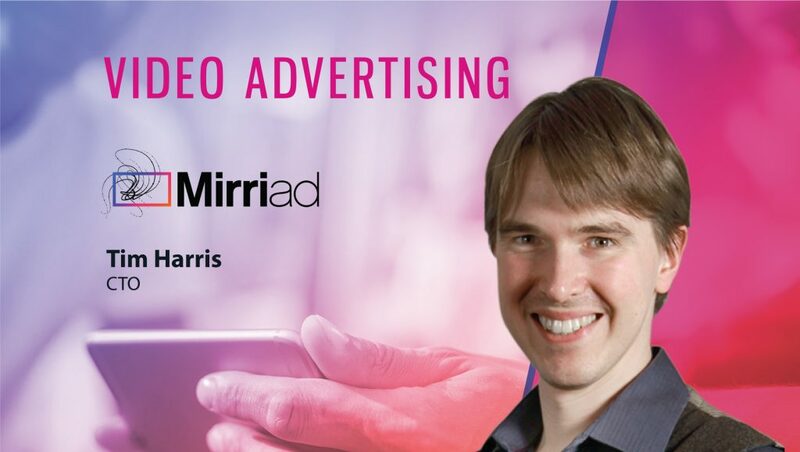 To better understand the core tenets of their video advertising technology and how their latest launch enables customers to reach viewers at a more relevant scale, we spoke to Mirriad’s Chief Technology Officer, Tim Harris. What are the core tenets of your In-Video advertising technology? Here are five core tenets of Mirriad’s technology. Quality – we try to minimize the number of times the creative content needs to be touched. Our solution ensures the ad is delivered at the highest quality by applying video expertise to our technology platform at an algorithmic, system, workflow and creative level. Scalability – we deliver the scale to meet campaign requirements through low-friction ad delivery technology allowing video processing to meet the highest expected content volumes. Seamless delivery – Present a single, coherent, end-to-end experience so the viewer’s experience of in-video ads is matched by our user’s experience of the platform. Data – Capture, synthesize and enhance video ads with audience data to best match brands with audiences that meet their campaign KPIs. Security – Our system ensures that the highest level of care is taken with content to keep our customer’s valuable IP safe. Tell us about the ‘In-video Advertising’ ecosystem? How do you compete in this dynamic landscape? As consumers increasingly tune out traditional advertising, marketers will need to find creative ways to deliver brand exposure. The In-video advertising space may be nascent, but it is ready to explode. Our ecosystem is made up of major content and distribution partners including 21st Century Fox, Univision, Alibaba, RTL, and in-video has been verified at a high percentage by several tracking partners including Comscore, and Miaozhen. We have also been endorsed by agencies Havas and Group M, and run global campaigns for brands like Unilever, Ford, and Intel. 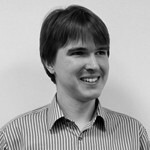 Mirriad competes by providing a unique solution that can assess inventory and deliver in-video ads at unmatched levels or quality and speed. How does your latest launch enable customers to reach viewers at a more relevant scale? This launch enables customers to access a new way to deliver targeted brand exposure, providing In-Video Ads to sales teams and their entire client-base at scale. We present them an available ad-inventory and then activate a streamlined sales process to engage with brands that have these ads included in standards packages to support brand campaign KPIs. Tell us about Mirriad’s In-Video platform? Our platform is a single place for distributors, sales, and operations teams to manage and sell in-video ad inventory and then track campaign delivery. Mirriad’s teams support commercial and operational activities in a highly scalable way, offering a unique venue for presenting and understanding available in-video inventory. Our policy is to provide relevant experience to different stakeholders, from sales to operations, and adapt to each enterprise customer as required. What is the state of video marketing technologies in 2018? The advertising industry has embraced AI and will continue to rely on machine learning technologies to deliver targeted audiences and quality brand exposure. Our platform provides market-leading matching that puts brands into premium content using algorithmic approaches that guarantees brand-safety. 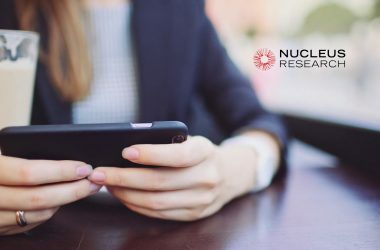 We expect to see a wide range of video ad optimization tools and 3rd party verification platforms become smarter and more available to marketers. What are your predictions on brand safety standards and how should advertisers better manage their advertising stack? Brand safety standards for scalable programmatic purchasing of video advertising will need to engage key metrics and balance the available inventory with core brand values. I see these as being a precursor to reliable contextual targeting for brand messages in video content using automated algorithms. This allows distribution platforms to leverage their audience attention against the demands of brands. Thanks for chatting with us, Tim.